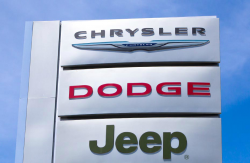 Fiat-Chrysler (FCA) owners are worried that their vehicles may not pass the next state inspection. And for good reason. Last month, FCA announced that nearly 900,000 vehicles fail to meet emissions standards and will need new catalytic converters. That’s a lot of parts to come up with all at once, so FCA’s plan is to split the recall into stages with older vehicles getting repaired first. Some owners have filed a lawsuit because they will could fail their next state inspection before parts are available. If everything goes according to schedule, 2013-2014 owners will be eligible for repairs during Q3 of 2019. 2015-2016 owners may not be eligible until the end of the year. The lawsuit is also concerned about resale value, as the repair will probably shave off a couple MPGs.